Americans love their frozen desserts, with ice cream leading the charge. Deliciously cold and refreshing, there are few things more satisfying on a hot summer day. Americans are the world-leaders in ice cream consumption, with the average person eating approximately 48 pints a year. In the early 1980s, ice cream makers introduced a “healthier” ice cream alternative: frozen yogurt. Frozen yogurt stores began popping up throughout the nation. Currently, a 1.9 billion dollar industry, there are close to 3,000 frozen yogurt retailers throughout the country. Sadly, commercial frozen yogurt is nothing more than a highly-processed, sugar-laden product. In the quest for a healthier option to ice cream, many people are unknowingly consuming loads of bone-depleting sugar, refined sweeteners, and artificial additives. But don’t worry! Here at the Save Institute, we don’t believe in deprivation. There are plenty of ways to enjoy this cold, delicious treat without the all of the bone-harming effects. Sugar: This bone-destroying ingredient damages your immune system, your brain cells, and robs your bones of minerals. 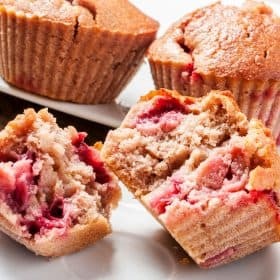 High Fructose Corn Syrup (HFCS): Made from genetically modified corn, studies have shown HFCS to be even more toxic than sugar.1 This sweetener is packed with “unbound” fructose and glucose molecules that can cause tissue damage, contributing to heart disease2, fatty liver disease3, diabetes4, and obesity. Soybean Oil And Palm Oil With TBHQ: Soybean oil is nearly always genetically modified. Further, TBHQ, an additive used to preserve unsaturated vegetable oils, is also found in cosmetics, perfumes, varnishes, and lacquers to maintain stability. Soy Lecithin: This ubiquitous additive in food is genetically modified and is used as an emulsifier to give products a smooth, uniform appearance. Guar Guam: This thickening agent is a fiber from guar beans. While that sounds harmless enough, it feeds the bad bacteria in your gut, as well as causing GI distress. Guar gum swells in the gut often giving the sensation of a bloated abdomen. Propylene Glycol: A food thickener, stabilizer, and emulsifier, it is derived from alginic acid esterified and combined with petroleum-derived propylene oxide. This “solvent” is used antifreeze and de-icers and should not be ingested by humans. Carrageenan: Also a food thickener and emulsifier, this additive is void of any nutritional value and is highly inflammatory. Artificial Color, Including Yellow #5, Yellow #6, Red #40: Artificial dyes are usually derived from coal tar. They are carcinogenic, cause hyperactivity in children, and have many more undesirable side effects. Natural Flavors: The best-kept secret of the food industry is the term “natural flavors”. The term can encompass anywhere from 50-100 ingredients that the FDA deems “generally recognized as safe” or GRAS. There is nothing natural about these flavors. Keep in mind that sweetened yogurt contains large amounts of bone-depleting sugar. Be certain to only use plain yogurt, preferably organic from grass-fed cows. While it still contains a small amount of sugar, it is the naturally occurring sugar as a result of lactose from the milk. Fortunately, the healthy bacteria in the yogurt eat lactose, thus reducing the amount in half. The following recipe is an easy, bone-healthy alternative to commercial ice cream or frozen yogurt. All you need is a high-speed blender and a few bone-building ingredients to whip up this delicious treat. Place the fruit, yogurt, and vanilla extract in a high-speed blender. Blend ingredients until smooth and creamy. Taste test for sweetness, and add honey to taste. Either enjoy immediately or place in the freezer for additional chill. 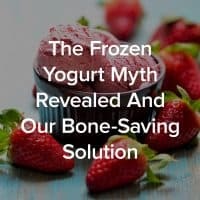 Once the frozen yogurt is made, there are a plethora of bone-nourishing toppings that you can add for additional crunch on top. Sprinkle with some flax seeds, almonds, or pumpkin seeds, all of which are Foundation Foods in the Osteoporosis Reversal Program. Homemade frozen yogurt is also an excellent addition to this bone-healthy cake recipe. Better yet, surprise your loved ones with a breakfast of pancakes topped with frozen yogurt. One of my favorite ways to enjoy frozen yogurt is as a Broiled Banana Split. Bananas are a delicious, bone-healthy food, rich in bone-smart nutrients, including Vitamin B6, Potassium, and Magnesium. 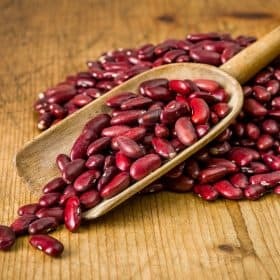 This fiber-rich fruit also boosts calcium absorption. To make a Broiled Banana Split, simply cut a banana lengthwise and place in on a pan. Brush the banana with a small amount of melted coconut oil, drizzle a bit of honey, sprinkle with cinnamon, and broil for 3-4 minutes. Then, top with your prepared frozen yogurt and any additional toppings mentioned above. Food Can Be Bone-Healthy And Easy To Prepare! Savers will be glad to know that there are easy ways to enjoy a large variety of foods without the bone-depleting harm. 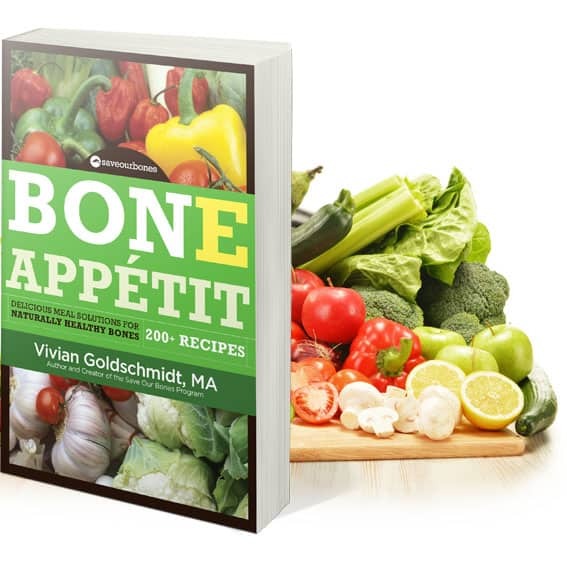 In Bone Appétit, there are over 200 pH-balanced recipes, so you will be able to create scrumptious meals and treats while building your bones. And while you have your blender out, Bone Appétit also includes the Blender Magic bonus. It contains 30 bone-healthy, alkalizing smoothie recipes that you can whip up in minutes. If you don’t have it yet, click here to get more details on Bone Appétit, Blender Magic, and more. Wondering if you would add share buttons to recipes? Thank you for the ‘yummy’ recipes. Can’t wait to try them. Vivian, I just saw my doctor who said: DO NOT TAKE CALCIUM SUPPLEMENTS! It collects in the arteries snd causes damage. Do you agree with this? Thank you! 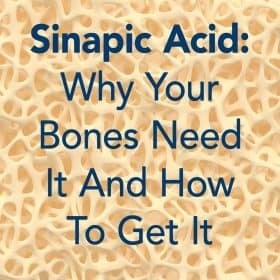 I have read that ingesting too much calcium without the proper minerals is detrimental? We need all the minerals and trace minerals along with calcium . I too have read that too much calcium leeches into the blood and fromthere wreaks havoc in our bodies. Is this a valid comment? Thanks so much for such an easy and yummy recipe, Vivian! You’re welcome, Clara. Let us know if you try it! It is my belief, and that of many knowledgeable people that animal products, both flesh (beef, chicken, fish) and all dairy, are the cause of much disease. We don’t need dairy products to get calcium. All of our vital nutrients, including calcium and protein can be found in plants. Read “How Not to Die” and see the documentary “What the Health” for current wisdom on these topics.